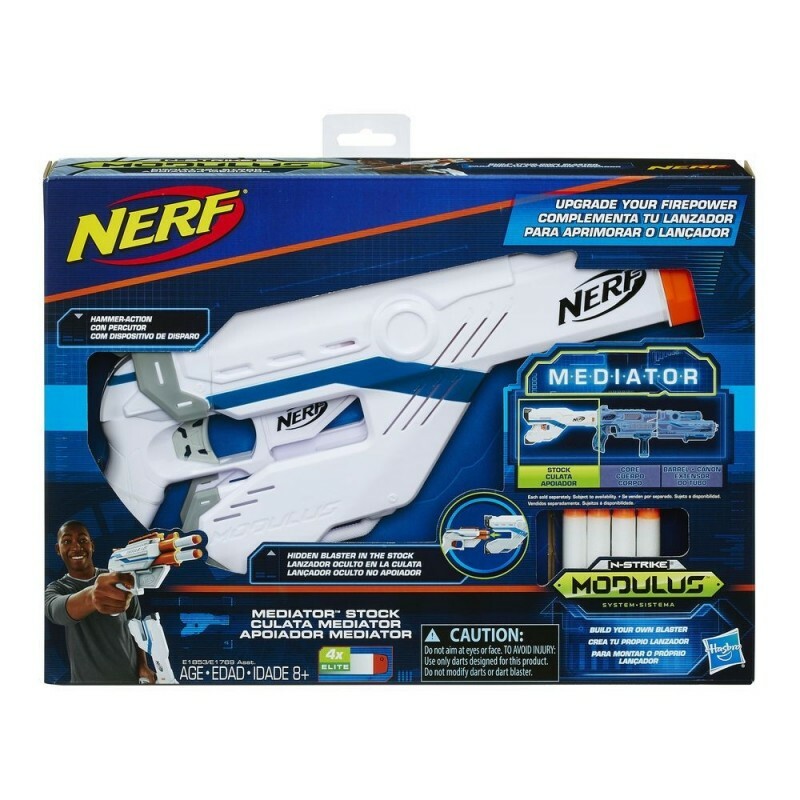 Kids can upgrade their firepower when they combine the Modulus Mediator Stock with the Modulus Mediator core (sold separately). Hidden inside the stock is a double-barrel blaster fires 1 dart at a time with hammer-acting blasting. The stock has storage for darts and a clip to attach it to belts. Comes with 4 Modulus Elite darts. Customize for battle with the Mediator core, stock, and barrel (each sold separately) to create the Mediator XL. With the entire Modulus system, more than 1000 combinations are possible! (Blasters, upgrade kits, and accessories each sold separately).